I can’t tell you girls how much obsessed I am with lip colors. 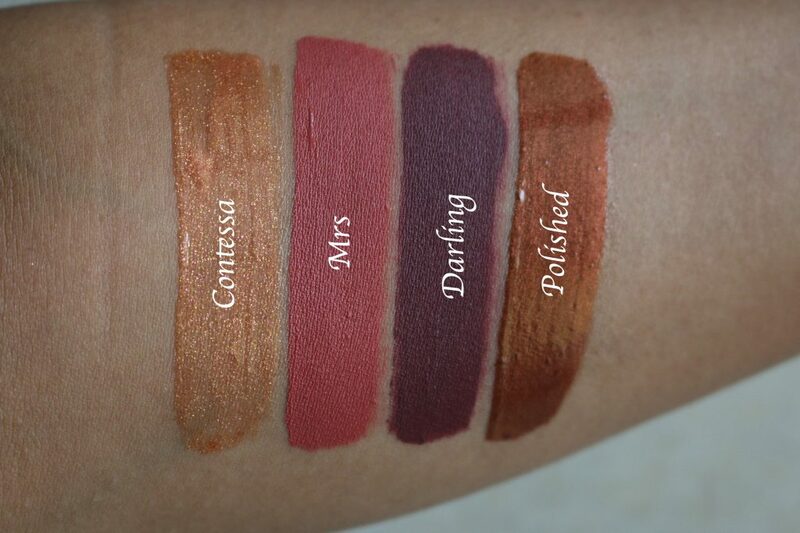 I justify my love towards Colourpop with their amazing offers and affordable price tag with good quality products Made in LA. 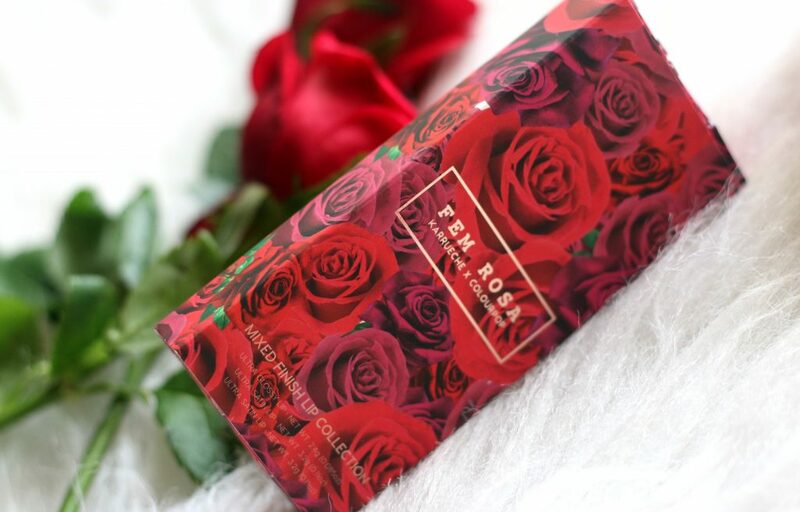 Colourpop x Karrueche – Fem Rosa Collection is one of my favorite from them especially because of its beautiful packaging. 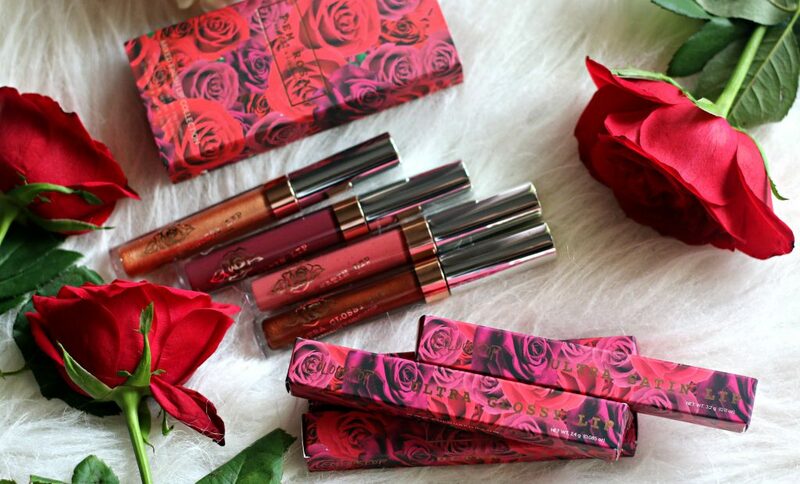 In this post, I am swatching the Fem Rosa Mixed Finish Lip Collection. 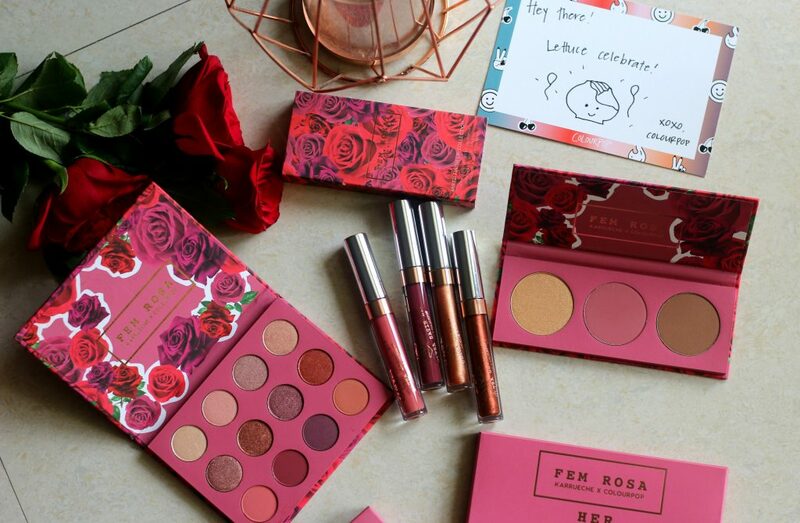 When this collection was first launched by Colourpop – There was a offer going on. If you spend $20 ; You will get a Ultra Glossy Lip Color- Polished for free. That’s how I got 4 colors here. 3 from the kit and 1 freebie. 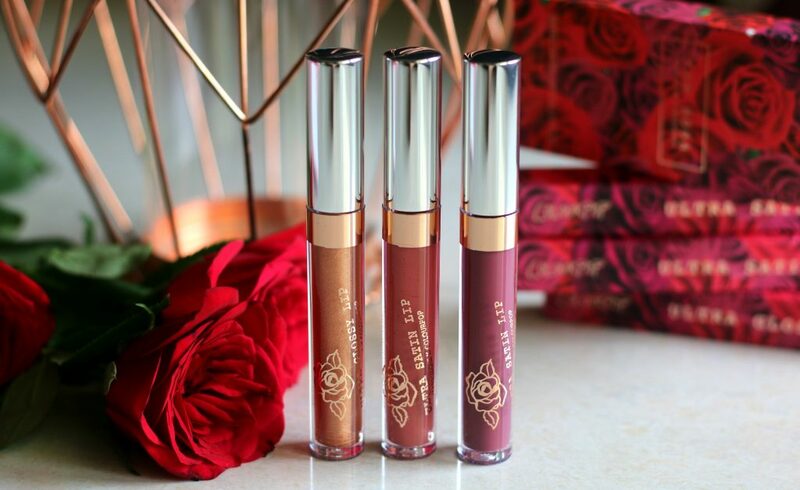 COLOURPOP x KARRUECHE Lip Bundle includes 1 Ultra Glossy Lip and 2 Ultra Satin Lips. I received the beautiful Ultra Glossy Lip – Polished as a free gift. You all can notice how slightly different the packaging is than the regular Colourpop lipsticks. 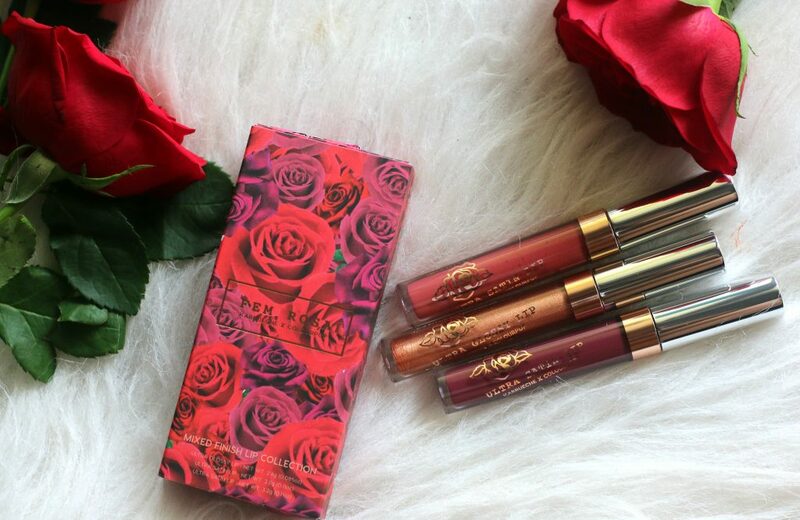 The beautiful golden rose symbol and gold detailing makes this lipstick packaging prettier! 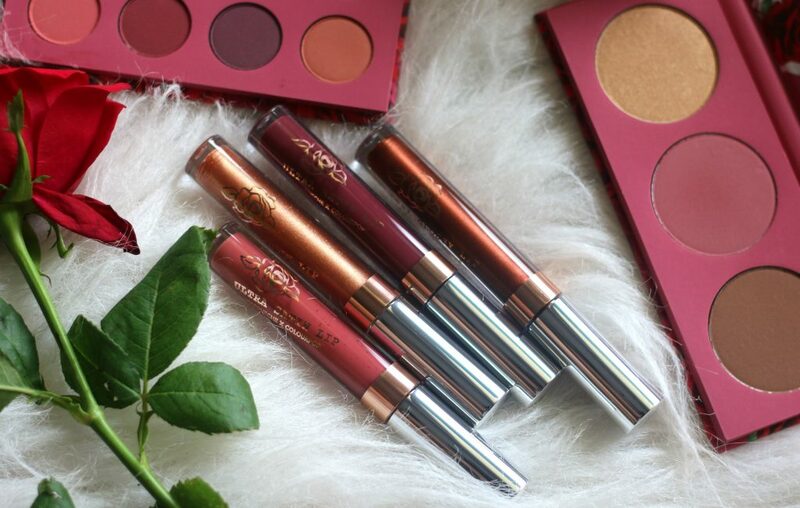 What a beautiful lip kit, Isn’t it? 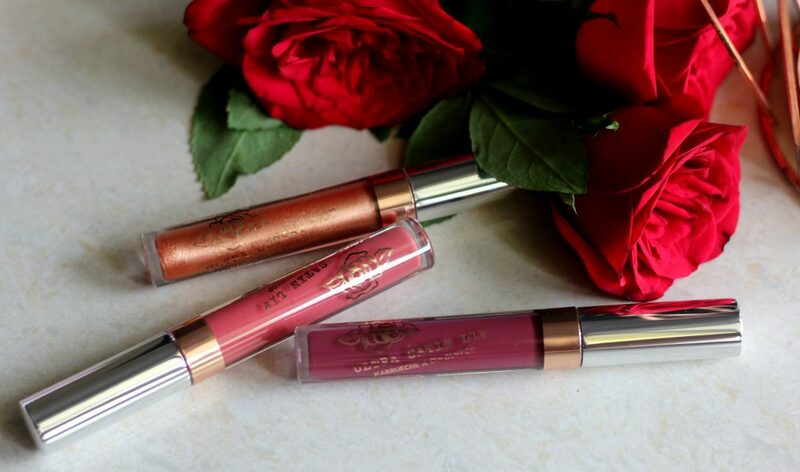 Ultra Glossy Lip: Polished – A beautiful ‘metallic’ copper shade which is super pigmented. 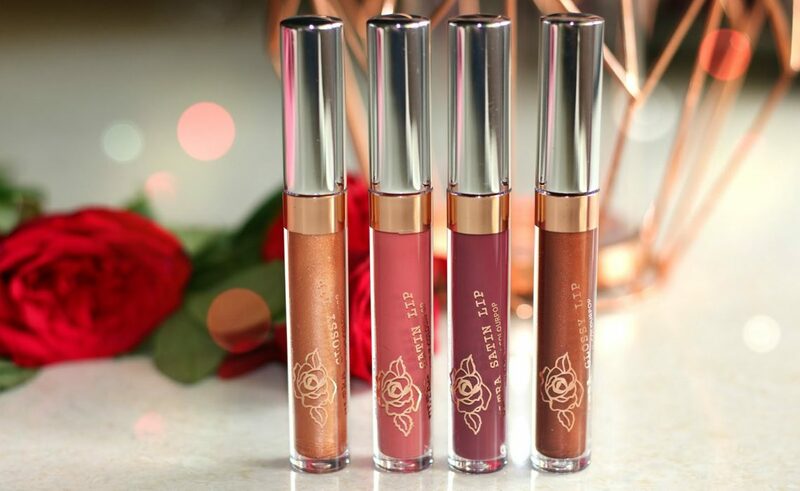 The formula is slightly thicker than other glossy lip formulas. But it doesn’t feel tacky or sticky or heavy on lips. It stays beautifully and can be worn alone or layered on for a beautiful metallic sheen. As they have a glossy-metallic finish – They transfer unless you blot them. Ultra Glossy Lip: Contessa – This is a beautiful gold glitter in a ‘sheer’ finish. It looks beautiful. In the swatch I have layered two swipes to get that beautiful sheen. The finish is glossy and it’s not transfer proof too. I am not a fan of glossy lip formulas in general. I got it as part of the kit. 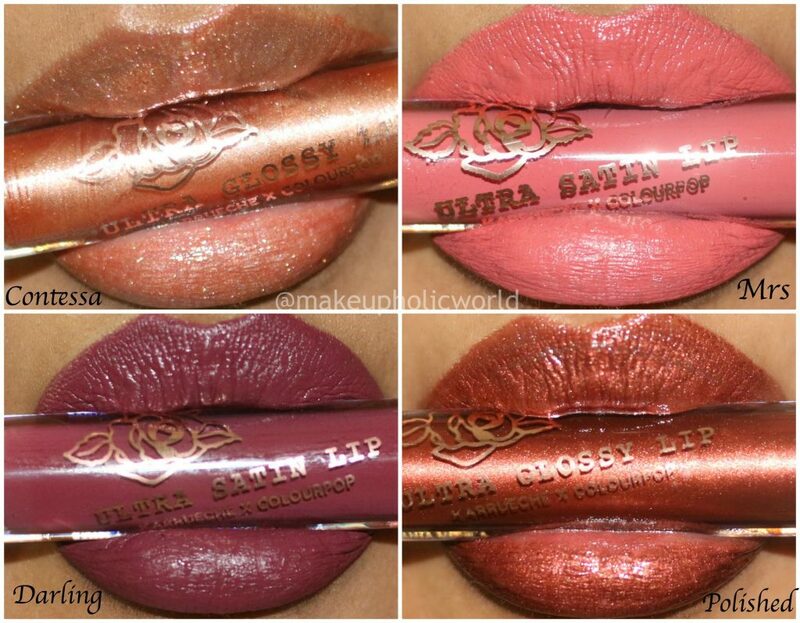 Infact, the best way to use sheer glosses are top them as a final coat to Ultra Satin or matte formula. Like some other glosses in the market, this one is not sticky which is good. If this was kept for sale alone – I wouldn’t have opted for this…I am not a gloss person to be honest. Ultra Satin Lip: Mrs. – A coral color. Again, not one of my favorite color. But, it’s great for a day wear if you are into coral colors. Ultra Satin is one of the best formula. I like it better than Colourpop’s matte versions. As always, make sure you prep your lips by exfoliating them and applying hydrating lip balm to get more wear time. It’s not very drying like the Ultra Mattes. But, it’s transfer proof. That’s what I like about this formula. Ultra Satin Lip: Darling – A beautiful deep plum shade. My favorite from this collection. 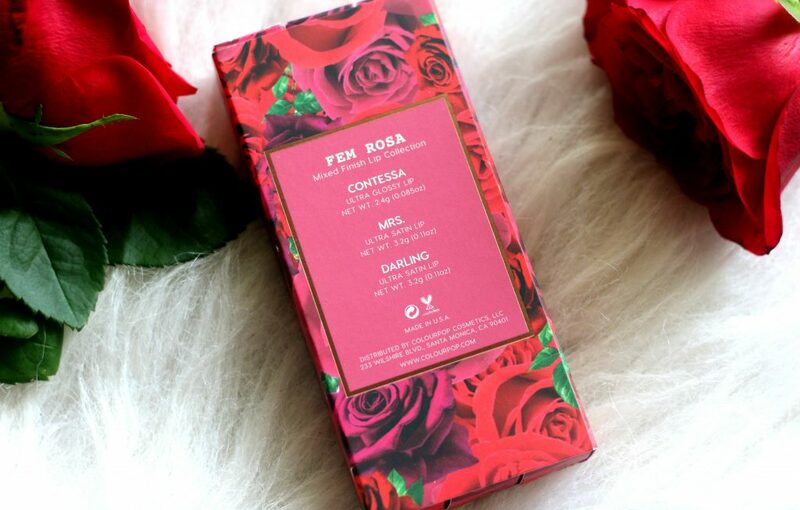 Compliments every skin tone. Application is very smooth and doesn’t feel sticky or tacky. Formulas is super comfortable and Ultra Satin Formula from Colourpop is not very drying too. It’s transfer Proof and doesn’t feel heavy on lips as well. 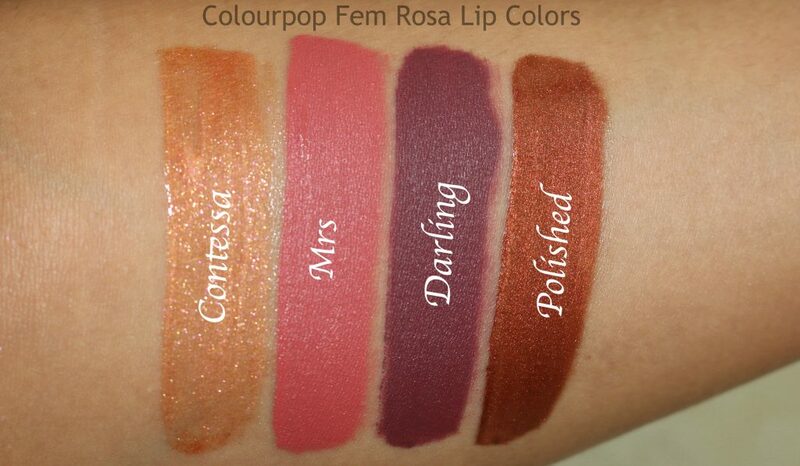 Did you try any products from Colourpop Fem Rosa Collection ?